When is my child old enough to start cutting their own nails? At Healthmark, many of our patients are parents with young children. One question that we receive on occasion is: when is my child old enough to start cutting their own nails? This is an important parenting issue that we must consider when teaching our children basic hygiene procedures. Trimming your toe nails is an important hygienic process that should take the same consideration as teeth-brushing and bathing. First, a child with any sharp instrument raises the risk of cutting themselves. Second, improper nail trimming can lead to infection. Third, not cutting toenails properly can lead to an ingrown nail for feet of all ages. The standard travel clippers that use a pivot motion to clip nails is not a good nail-cutting instrument. These clippers that use a push-down motion do not cut toenails at proper angles and heighten the risk for toenail growth issues such as ingrown nails. We recommend, for toenail cutting of all ages, straight to slightly rounded and straight-jaw scissors. When trimming your toenails, make sure you do not cut them too short, to where you can start to see the toenail bed (the part under the nail). Furthermore, when trimming your nails, make sure you leave a curve at the edge which follows the rounded shape of the toe underneath. Cutting you nails at striaight edges can be very bad for the nail as it grows in. 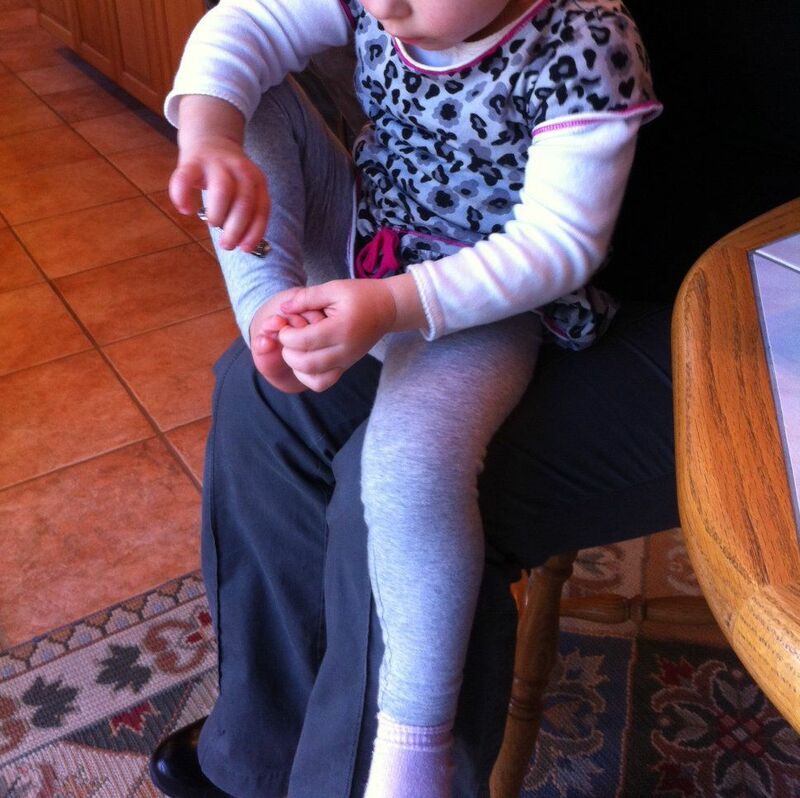 We recommend that parents teach their children about proper toenail cutting as they grow. Eleven-years-old is a good age to allow children to start cutting their own nails. As parents we understand that it is important to pay attention to our children's bodies and overall health. Don't forget about your child's feet and toes, especially those little toenails. If you have any questions about toenail cutting and toenail health, contact that foot doctors at Heathmark Foot and Ankle. Our three doctors can tell you all about toenail and foot hygiene for youngsters of all ages.